I was born and raised in Iredell County, North Carolina, the son of hardworking farmers. My grandparents owned the local general store. My rural upbringing gave me an appreciation for an honest day’s work, traditional craftsmanship, and well-made everyday items. Ever since I was a young boy, I have always felt the urge to create something with my hands. Drawing and painting didn’t seem right – didn’t seem useful enough. I wanted to make something lasting…something both practical and beautiful. 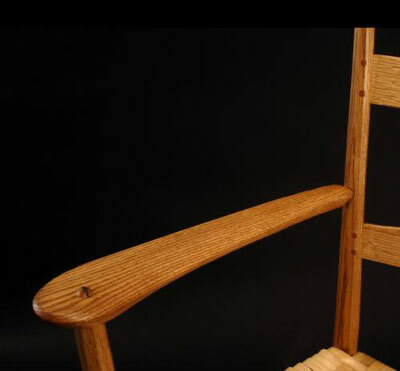 When I came across an article in the local newspaper about an old-time master chair maker, I knew I’d found my calling. I searched him down and talked him into teaching me the craft, after learning the basics I took that knowledge and began to create my own designs. I specialize in ladder-back or post-and-rung chairs, with the same deep rural roots I have in my soul. I also took up spoon carving, where I use hand-selected crooks or bends of certain trees, to carve spoons and ladles which only grow more beautiful with use and age. I work with locally cut veneer-quality red oak logs that I split apart or rive to get the straight grain wood I need for strong chair parts. 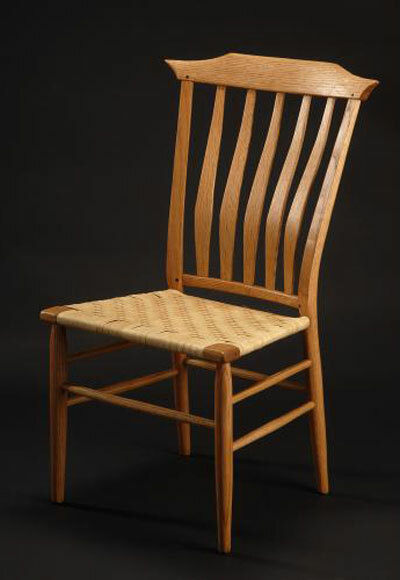 All of my chairs have steam-bent back legs and slats for comfort. Every piece I create has a spoke-shaven or hand-tooled finish. I use the traditional method of wet/dry joinery to hold my chairs together, where I super-dry the rungs before cutting a precise tenon on each end to fit in mortises in the air-dried legs. Then, over time, the legs continue to dry and shrink onto the super-dried tenons, ensuring a long life for the chair. 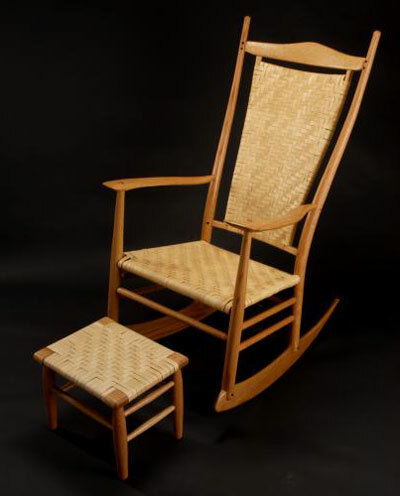 I weave the seat bottom with hickory bark or similar material, or carve a solid hardwood seat. Each piece has been lovingly rubbed by hand with three or four coats of oil – a recipe I mix myself. 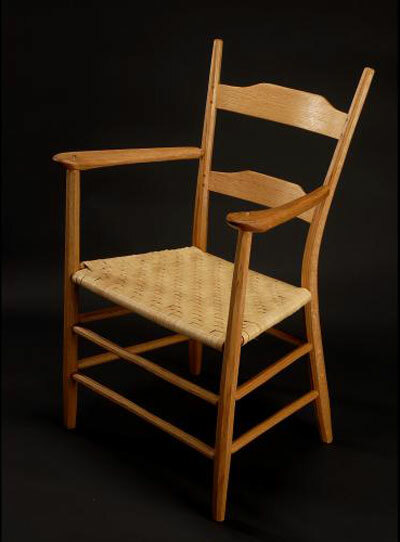 This is the way chairs were made when people knew how to make chairs, not just order them from a fancy catalog. I make every piece with my own two hands, leaving behind my unique fingerprint.